TBILISI, DFWatch – Another Olympic champion has been added to the list of Georgian sportsmen taking part in the political life of Georgia, as an Olympic judo champion joined Bidzina Ivanishvili’s opposition Georgian Dream movement. After a brief break, the issue of sports and politics has surfaced once more in Georgia. It seems that this is not the first and not the last time when a famous sportsman decides to participate in the country’s political life. In general, Georgian sportsmen claim that sports and politics are different and shouldn’t be mixed. However, after the rose revolution in 2003, the political divisions have undermined some of neutral successful sportsmen and forced them to choose sides. Many sportsmen have expressed their sympathy towards the opposition and dissatisfaction with the government. Among them are the legend of Georgian chess, the sixth woman’s world chess champion Nona Gaprindashvili, twice champions league winner Kahka Kaladze who spent most of his career in Italian club AC Milan, another Olympic bronze medalist, five times European championship winner and twice a world champion, wrestler Luka Kurtanidze and now the list has been joined by Zurab Zviadauri, Olympic champion in judo. Each of them has a personal history of relationship with the government. Kurtanidze participated in a protest rally in front of the parliament building a year ago. After the demonstration was infamously raided by the government to hold a parade to mark independence day on May 26th, he has avoided almost all publicity and only recently reappeared in media wearing priest robe and with a beard. According to him, he has been extremely hurt by the actions of his compatriots on that day and has spent a lot of time in the Shiomgvime monastery. 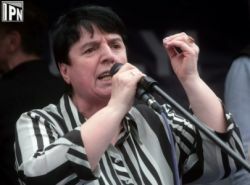 As for Nona Gaprindashvili, she is now one of the leaders of the opposition People’s Assembly Party. She left for the opposition to support Badri Patarkatsishvili, the famous Georgian tycoon who died in 2008, not long after having tried to run for president. Kahka Kaladze had a normal relationship with the government until it deteriorated after he could not fulfill his obligations. He was fined and has to pay more than USD 15 million. Kaladze not only failed to deliver on a promise to attract investments within the scheduled timetable due to the financial crisis and war with Russia in 2008, but also did not manage to pay the state the full amount for a formerly public land plot where his company Arsenal Development was going to build a real estate complex worth USD 1.5 billion. 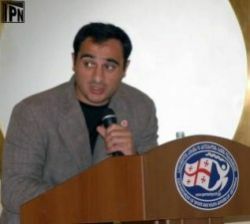 Relations went into a deadlock after his friend and former player on the Georgian national soccer team George Demetradze was arrested and sentenced to eight years in prison for allegedly being connected to criminal authorities (thieves in law), racketeering and illegal gambling. Later he declared that he was leaving his sports career to support the political newcomer Bidzina Ivanishvili. http://dfwatch.net/football-star-explains-why-he-left-94265 His decision caused criticism from the Georgian Football Federation as well as from fans. Zurab Zviadauri is a friend of another Olympic champion, George Asanidze, who is a rigorous supporter of the ruling party and a member of parliament. Asanidze made a comment about Zviadauri’s decision to join Georgian Dream stating that he would talk to him and ask the reasons for such a decision. Zviadauri himself commented on his actions and said that he would fight together with Bidzina Ivanishvili in the name of the dream. He remarked that despite harassment, he decided to join Georgian Dream. 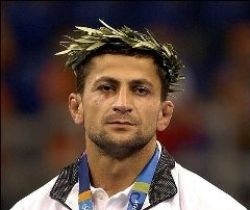 Zviadauri says it’s a long time he decided to go in politics and today he will fight with Ivanishvili.